Yay, We'd love to have you! We have a limited number of performance spots multiple shows throughout the weekend. Applications will be emailed to the Newsletter subscribers at 10am on Sunday, April 14. Applications are first emailed to Newsletter subscribers as a benefit of subscription. They are later posted publicly here and on the JBNW Facebook page. Performance spots are open to everyone! Pro or student or in-between, experimental, stylistically pure, fusion, project, troupe, off-the-wall... come dance with us! SPOTS ARE ASSIGNED: First-come first-served by application-form timestamp, no exceptions. Spots are assigned until we run out of room, after that a waitlist is formed. 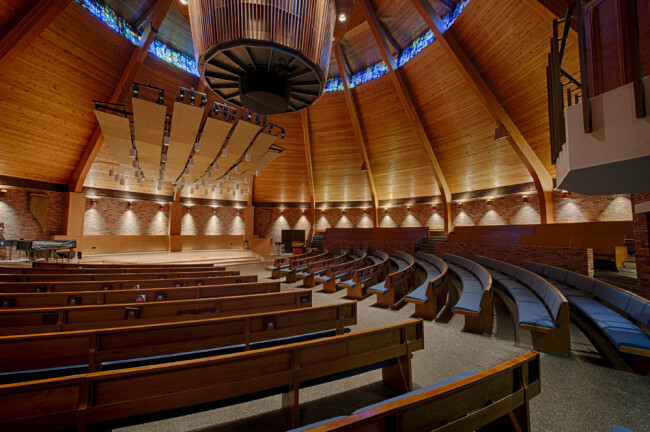 VENUE: All performances will take place on the stage in the Agnes Flanagan Chapel at Lewis and Clark College. SHOW ASSIGNMENT: Is at the discretion of the producer. All shows feature attendees. See Showcases page for more info. STAGE SPECS: will be sent once you've been accepted. 1. Music is due NO LATER THAN midnight on July 1, 2019, in a single track with your group's name as the start of the song name. AIFF or WAV format preferred, MP3 if no alternative. (MP3 files produce lower-quality sound on a pro board) Email your music file or download-link to jamballahmusic@gmail.com. Failure to submit music by the due date will result in a loss of your performance spot. If two performers choose the same music, the one who got it in first will get first priority. If your file is too big to email, I like DropBox, Google Drive and WeTransfer for sending downloadable links. 2. Support the fest! All non-instructor participants must be registered for TWO CLASSES to be eligible to perform. (Including those performing in duets, trios or quads. If you are performing in a large group of five or more, every person performing must be registered for at least ONE class, or make a donation to the scholarship fund of $40 or more.) Classes awarded via the Odd Fellows Community Scholarship DO COUNT towards this requirement, so get your application in! You have until July 1 to meet the class signup requirement, so feel free to apply first and sign up at your leisure. 3. Performers are allowed a MAXIMUM of one dance spot as part of a solo, duet, or trio. No limit for performing in large groups, 4+ members onstage Examples: I'm performing with two large groups (4+ members onstage)- OK. I'm performing with my trio and also want to do a solo- (SORRY, NOT OK). I'm performing with my duet and also with a Large Group (4+ members onstage)- OK.
4. Performers will be required to meet the minimum class purchase for each spot separately, if accepted for multiple spots. 5. Multiple pieces in one spot: Yup! But the entire set must fall within your 5m allotment, including transition time. 6. Live music? Awesome! Setup/teardown must fall within your 5m allotment. Live musicians must supply their own amps and microphones. Application videos: Don't stress! Videos are not a requirement, and really only matter if you would like to be considered for the evening shows. If you decide to submit a video, a simple 'living room performance' is fine as long as it gives me an idea of your strengths. Pro, semi-pro or student, you belong on our stage! One of the main reasons I do this fest is to get as many bellydancers as possible onto a beautiful stage with real lighting. So pro or beginner, I welcome you to take this opportunity and perform with us! Application forms are emailed out to Newsletter subscribers first as a benefit of subscription, after registration opens. They will later be posted publicly here on the site. If you really want a spot, get on that Newsletter list and make sure Gmail knows to send them to your Inbox, not 'Promo' folder or spam. PHOTOGRAPHY/VIDEOGRAPHY: We will have official photographers on site who will provide social-media approved photos to performers free of charge (paid for by the festival), as well as a professional videographer from whom you may purchase your multi-angle video. Videos will always be 10$, the rest subsidized by the fest. There is NO outside photography or videography allowed during the shows, to maintain a positive experience for everyone in the audience. DISCLAIMER: Applying to perform is not a guarantee that you will be able to do so. We will try very hard to fit everyone in but we can’t promise everyone will get a spot.